19 Nigerian Pilgrims lost their lives to NCDs in Saudi. According to the Nigerian Tribune, 19 Nigerians on pilgrimage to Saudi Arabia died during the pilgrimage and most of them as a result of chronic illnesses like diabetes, hypertension. Dr Jibrin Suleman, Head of Data Unit, National Hajj Commission of Nigeria (NAHCON) Medical Centre, Mecca, Saudi Arabia,on Tuesday, said during a brief with the leader, Senate Ad Hoc Committee on Hajj, Senator Ali Wakili, who visited the centre in Mecca, Suleman said most of the deceased were aged persons of between 65 years and above. 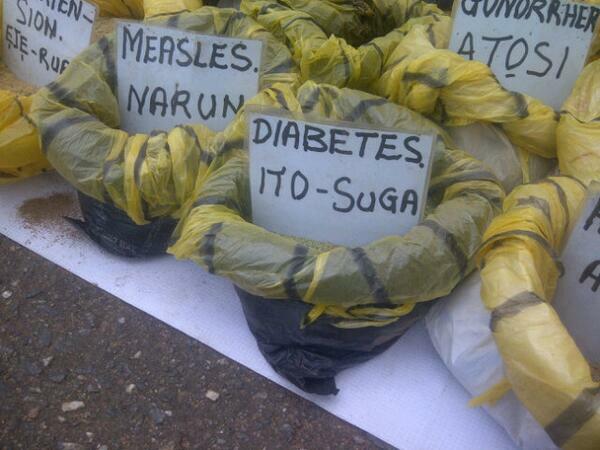 He said most of the deceased died of heart diseases, hypertension, diabetes and other related ailments. Suleman said the centre, which was limited to the provision of basic treatment only, recorded two miscarriages and referred 50 cases to Saudi hospitals within the period. He said more than 10,000 pilgrims had visited the centre for cold, malaria, body pains and other simple and non-complicated cases. Also briefing the committee, the Head, Medical Team of the centre, Dr Muhammad Bello Abdulkadir, said the clinics were stocked with necessary drugs. “We brought some of the drugs from Nigeria, while others were procured in Saudi Arabia,” he stressed. He also said that NAHCON had recruited 232 medical staff, including doctors, nurses, and others to man the clinics. He, however, complained that the centre had no ambulance to move to the pilgrims’ hostels during emergencies. Abdulkadir said the four ambulances acquired by NAHCON for the centre were yet to be released by Saudi authorities and urged the National Assembly to intervene. Earlier speaking, Wakili said members of the ad hoc committee were going round NAHCON facilities in Saudi Arabia to record some of their problems and present them to the Senate. The Nigeria Diabetes Online Community commiserates with the families of the deceased and implores the government to create platforms where people living with diabetes and other related chronic conditions will have adequate education on self management and care, access to their supplies and prompt care while performing their religious obligations. Nasiru’s experience is a certain secret affair that is not known to most people that he has come across at work, school and the neighborhood etc . However, this year, the international diabetes awareness period coincided with his nine years of secret affair with diabetes mellitus and this prompted him to write us this piece on his personal experience. His early life could be described as very relatively healthy one with little visitations to the hospital, all childhood ailments were treated with over the counter drugs and “epa-ijebu” (a herbal antibiotic) as he called it. He wrote his final university examination in August 2004 with a heart full of joy and hope of what future holds. He left campus for the National Youth Service Corp (a compulsory 1 year national program for fresh graduates to facilitate cross-cultural mixture). It was early in the month of September 2004 that he started observing some strange changes in his body system. He observed his excessive crave for water to the extent of drinking water meant for ablution in the mosque whenever he went for prayers, and he would always have water beside him at night. His second observation was frequent urination during the day and night. He initially did not give any serious consideration to these observations simply because he always regarded himself a lover of water. His third observation was actually made by people around, asking if there was anything wrong with his health because he was losing weight and he always responded to being alright. The curiosity of people about his health prompted him to make consultation. His first place of consultation was a certain patent medicine store, where he was diagnosed wrongly of having worms (due to his loss of weight). After failed attempt, he visited a “doctor” in his neighborhood that he later discovered to be a quack. After series of injection shots by the “doctor” and with no knowledge of diagnosis by Nasiru, he told the “doctor” he was getting better and the “doctor” then stopped the injection and switched to oral drugs. Consequently his condition became worse again. This time Nasiru had to visit Apapa Health Centre on the 25th October 2004 where he met a doctor who asked him to go for a test, precisely blood sugar test and urinalysis, in the laboratory. Subsequently, he was diagnosed of Diabetes Mellitus and frightened Nasiru was counselled on the care and management of Diabetes. For Nasiru the experience of living with diabetes, especially insulin dependent diabetes, is sometimes psychologically awful. The first challenge arises when in the company of others and you’re required to reject some kinds of food without letting them know the reason. Regular injection is another challenge faced by Nasiru. Some experiences of Hypo by Nasiru have resulted in him passing out in his room and sometimes at public places. He had to be re-deployed from the northern part of Nigeria to the south west on his request due to diabetes and the need for adequate care close to his family. His non disclosure according to Nasiru are due to some reasons. There are some forms of myths or advice gotten from ignorant people about diabetes. For instance, he had been told once that diabetes is sometime spiritually casted on people. Also, a colleague advised him to come to church where he will be totally healed. Another person also encouraged him to stop insulin as she had somebody that would give him an herbal medicine that will cure it, though she never brought anything. When Nasiru volunteered to share his experience with us we were thrilled as it is a common phenomenon for people living with diabetes especially in Africa not to want to share their experience for fear of social stigmatization. According to Nasiru this medium is also necessary to intimate government on the need to provide assistance to diabetic people, especially the young ones that are insulin dependent, by ensuring easy accessibility of medications. 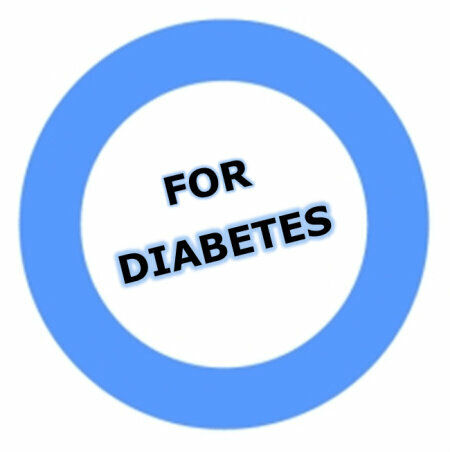 We at The Nigeria Diabetes Online Community are committed towards advocating for the about 5 million already diagnosed of Diabetes Mellitus in Nigeria and also through adequate education prevent the surge of Diabetes in Nigeria. Please do feel free to mail your experiences to us (thengdoc@gmail.com) in order to share and build a great and empowered community of people living with diabetes. Lastly, we want to implore the federal government to kindly live up to the free insulin declaration.